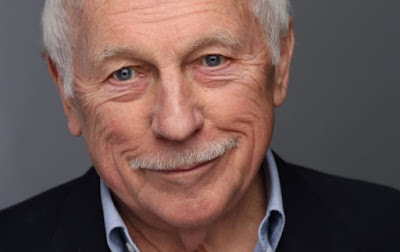 OrbsCorbs: "For Ron Miscavige, life after Scientology hitting high notes"
"For a man who devoted half his long life to the Church of Scientology, quit, wrote a book highly critical of its leader — his son — and now suffers the church's wrath, Ron Miscavige comes off as a pretty happy, upbeat guy. "The 80-year-old West Allis resident sat down this week to talk about his memoir, 'Ruthless: Scientology, My Son David Miscavige and Me,' which almost immediately landed on The New York Times bestseller list and put the first-time author on major network news shows after it was published last month by St. Martin's Press. "It also thrust him into the crosshairs of the church, which calls the book a lie and launched a website portraying Miscavige as a wife-beater, ungrateful son and huckster trying to make a buck off his famous son. Plus, he assumes he's still under constant surveillance, but doesn't seem to care. "'You don't ever beat a bully by running away,' he said. "His main hope for the book, he said, is that it might lead to an end of the church's policy of "disconnection," in which all members stop contact with anyone who leaves. He remains cut off by two daughters still in the church. "Though there's little Scientology presence or history in Milwaukee, the area became part of the story when West Allis police arrested a private investigator who had been getting paid $10,000 a week to shadow Miscavige's every move since he left the church in 2012. "He and his second wife of nearly 25 years had come to Wisconsin to be near her parents. The private eye had fake IDs, multiple license plates, a GPS tracking device, guns and a silencer. "The Florida-based investigator told West Allis police that once when he thought Miscavige was having a heart attack in a parking lot and called it in, David Miscavige himself told him not to intervene. 'If he dies, he dies,' the younger Miscavige said, according to the investigator. "The investigator was arrested in 2013, but the story didn't break until 2015. Scientology denied the investigator's claims. "Miscavige says now that he was in fact clutching at his chest on the day in question, but only to find his cellphone, which had fallen from a pocket as he loaded groceries into his car. He wrote that when he later learned of this son's instruction, he was stunned, and the anecdote leads off the book."